There are few things in this world that can tick off most people immediately. A nosy person who likes to interject something or the other in every argument. The one person who bargains day in day out with a loud unbearable voice, or the grunting sounds while using a public transport or eating out loud. 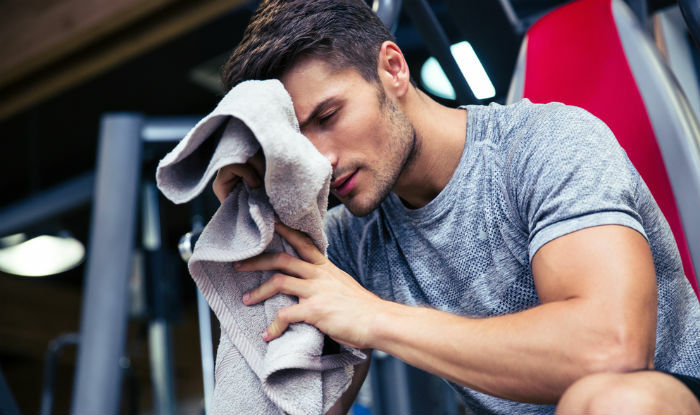 Similarly, in the gym there are many such instances that can break your concentration, or you tend to make such mistakes both willingly and unwillingly. You need to be focused while working out and few behaviors are bound to divert your attention or drive you nuts. There are instances where individuals do it unknowingly, but one needs to understand that gym is for everyone and should be paid undivided attention to. Gym is a place where one can channel their passion and dedication towards a healthier lifestyle, so some basic yet essential dos and don’ts are necessary to maintain it. Like the basic rule of a fight club, taking turn is the most essential etiquette that should be maintained. It is a deal breaker when you have just arrived at the gym with zeal to make the most of it and you see someone taking their own sweet time after finishing a moderate set of leg extension or curl. This is bound to set off your mood and you would be looking at the clock restlessly for the ordeal to end. The same thing applies to everyone; it is fine to take an extra second or two off before beginning the next set, but when the gym is crowded, and you see people around you waiting in the queue it is better to take turns as it will help you and others stay in a timeframe. You can argue over the fact that alternation adds unnecessary resting time, but you can use that time in some other workout. For example, you can alternate hammer curls in between your preacher curl sets. Do not start gossiping while you’re still using the machines or dumbbells, and try not to be ignorant as many people shy away from asking, so maintain a basic understanding with your fellow gym-goers. Gym is all about maintaining discipline, and the most basic rule is to maintain a given time limit. There will be days when your energy levels won’t drop down one bit and you would go on pumping iron for hours. However, it is better to keep your workout within a specific time interval. Do not spend 20 odd minutes on a Smithsonian machine while others give you a deadly stare. Try to finish off the sets and take your rest in between exercises. When you use the T-Bar, make sure you do not finish it off in a hurry as it strains your back muscles, but at the same time do not take an eternity to finish your sets as at times alternation cannot be possible. Nothing in this world can be as gross as someone’s sweat been squished all over the bench or worse on the fly machine pad. It is unhygienic, rude, and downright ridiculous. The first thing to carry to a gym should be a towel. It does not only you wipe off the sweat, but the additional sweat that sticks to whichever machinery you use. You can politely ask others if they are not using their towels or not wiping off the sweat from the benches or pads. You can also let your gym trainer know about it. It is healthy and absolutely within bounds to strike a conversation or two, but don’t speak loudly or yell while talking. This can break concentration of others as well. When you are using a headphone try and remove it while talking as you may not know how loudly you have been talking. Normally gyms these days are surrounded with loud speakers which make it hard for people to talk in a normal voice or hushed tones, but try to avoid it when the music is turned off or the intensity of the songs are low. A simple etiquette that many fail to adhere to. It is very simple; if you do not re-rack the weights, you tend to clog spaces on the floor and it is extremely difficult for others to look for it. Suppose, you are working on your triceps and you are doing the overhead press. You must use a single weight for that and let’s say you are pumping up 15lbs. When you do not return the weights, another person would be left with the other pair of 15 lbs. and will be looking for the other. This should be maintained for extension cables and barbells as well. You should always re-rack them from their respective places after using it. This avoids confusion and time wasting. It is legit not to stink, but pouring gallons of your favorite perfume may piss off others around you. Strong smell after a certain point of time leads to head pains and nausea. Do not overdo your style statement. Refrain from using lotions as much as you can. During the winter days it is justified to use lotion, but too much of it will sweat you out, and make your hands moist which in turn will make the weights or barbells slippery. This is very annoying. It is okay to ask for help from your trainers as that is their job to do, and even if they are busy you can ask for help from others. You can seriously injure yourself if you do not know how it is done, or will be wasting your energy and time. This may be gross, but imagine a gym full of 20 full grown adults pumping their lungs out and sweating like anything. Imagine the amount of body germs any gym would be draped with? Yes, it is gross and outrageous, but you cannot run from this. Make sure you wash your hands and preferably with liquid hand wash. This will keep your sanity intact and make you feel better as well. Being disciplined can be boring, but to maintain a certain code of conduct while working out is necessary. There are many ways to make your time at the gym productive without being a trouble to others. Previous articleWhy I Love To Workout!